The journey by train from Udaipur to Mumbai is scheduled to take between 16 hours 30 minutes and 16 hours 45 minutes depending upon which train you take. The distance travelled is 945 km. The train services listed below all depart from Udaipur City Railway Station and arrive in Mumbai at Bandra Station. There are 2 train services from Udaipur City Railway Station to Mumbai Bandra Station, with no service on Mondays. Fastest Train: The fastest train from Udaipur City Railway Station to Mumbai Bandra Station is the Udaipur City – Bandra Terminus SF Express (Train #22902) departing at 21:00 on Wednesdays, Fridays and Sundays. Slowest Train: The slowest train from Udaipur City Railway Station to Mumbai Bandra Station is the Udaipur City – Mumbai Bandra (T.) SF Express (PT) (Train #12996) departing at 21:35 on Tuesdays, Thursdays and Saturdays. Use the Search Form below to buy your train tickets from Udaipur to Mumbai. Udaipur City Railway Station is 1.4 km by road from Shri Manshapurna Karni Mata Temple. Mumbai’s Bandra Station is 22.4 km by road from the Gateway of India Monument. 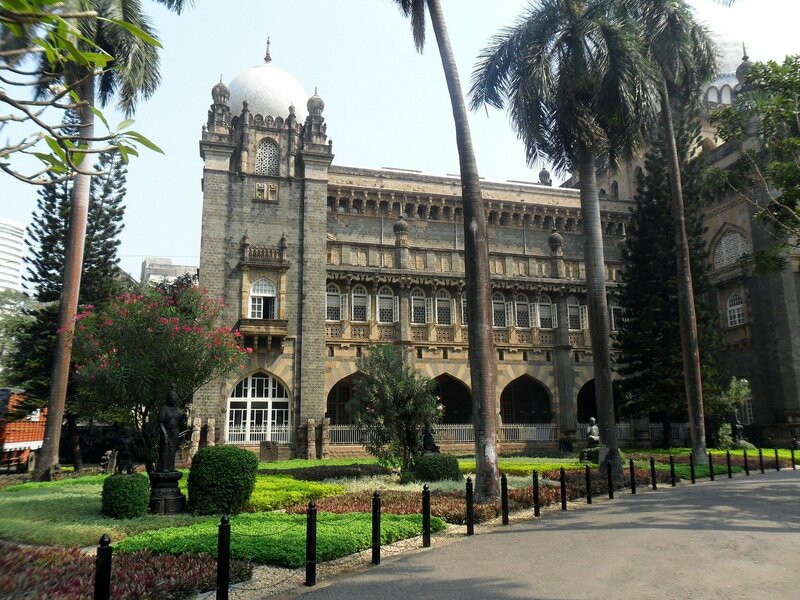 The Chhatrapati Shivaji Maharaj Vastu Sangrahalaya, or King Shivaji museum, in Mumbai was originally known as the Prince of Wales Museum. As the name suggests, the museum was built during the time India was part of the British Empire. The building itself was completed in 1915 and initially used a hospital and children’s welfare centre during the First World War before put to its intended use as a museum which opened in 1922. The name change to Chhatrapati Shivaji Maharaj Vastu Sangrahalaya happened in the same year that Bombay became Mumbai, 1995. The new name chosen is that a legendary local king from the 17th Century. The museum holds a collection of over 50,000 artefacts which are displayed in three categories: natural history, art and archaeology. The art collection features a range of Indian styles of painting as well pottery, metalwork, sculpture and ornately decorated arms and armour. The archaeology section has items dating as far back as 2,600 BC from across India. The natural history section is perhaps the least impressive part of the museum as it features displays rather than artefacts and is principally used for the education of visiting school children. The museum is open from 10.15 to 18:00 Tuesday to Sunday, and is closed on Mondays. Admission costs 500 INR for foreign visitors and 85 INR for Indian nationals.